Did a few projects around the house this weekend. One of which I will post later on this week (hint – its a sandbox with cover). 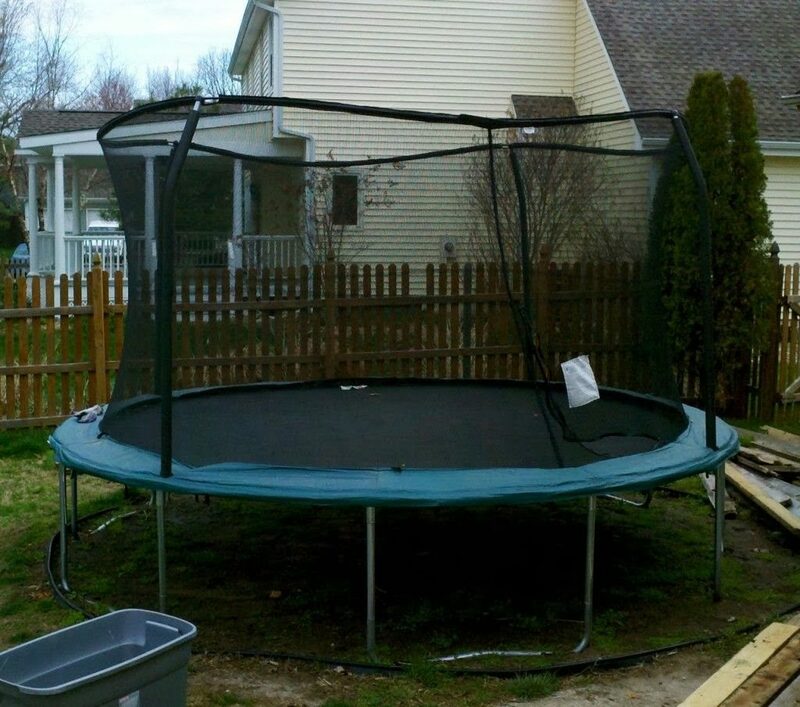 One of the biggest projects and most time consuming ones was buying and assembling our kid’s new trampoline. The time consuming part was because I removed all of the sand from an old swimming pool ring. I then put down weed barrier and filled it back in with sand. This morning I assembled the trampoline and even though it said a 45 minute assembling time with two people, it took me a little over 3 hours! Did I forget to mention that it was over 100 degrees both days? But in the end the kids absolutely love it and that is really what matters most isn’t?